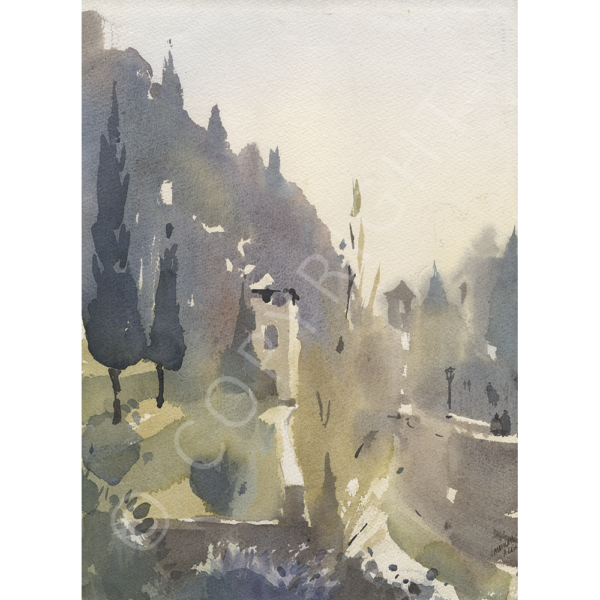 i made this watercolour when i first came to Granada . i was in love and i think this is reflected in the picture . It was part of a collection with which i had a major exhibition in Dublin in 1989. It would be impossible for me to repeat a painting like this .The location is Paseo de Los Tristes , beside the river.